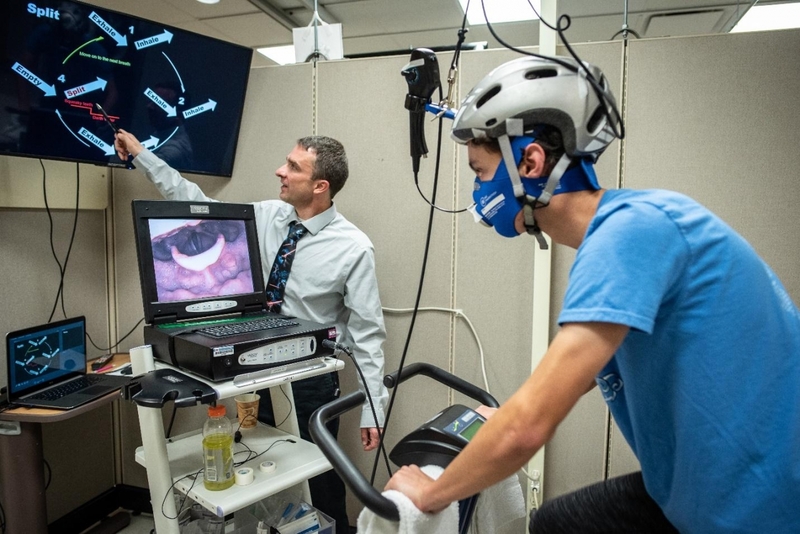 Dr. Olin explains that with the help of microelectronics, which are snaked through the patient’s nose and down the windpipe, he and the care team can see the spasms in the larynx and other problems in real time while the patients pedal hard on an exercise bike. Watching together, Dr. Olin coaches young patients to overcome these frightening breathing problems and keep going, all without pharmaceutical intervention. The Center at National Jewish Health combines all the features of a state-of-the art cardiopulmonary exercise lab with real-time video of the vocal cords. The patients’ data are recorded for further analysis and refinement of their individual treatments. “We are grateful to Arrow for their support of our work at National Jewish Health. We are excited to be pioneers in this approach to successfully treating patients with this illness in a non-invasive and non-medicinal manner,” said Dr. Olin. National Jewish Health opened in Denver in 1899, providing free care to indigent patients with a disease that was then known, and later identified, as consumption. Today, it is the only facility in the world dedicated exclusively to groundbreaking medical research and treatment of patients with respiratory, cardiac, immune and related disorders. This year, Arrow also sponsored National Jewish’s Beaux Arts Ball, which drew more than 1,100 attendees and raised a record $2.3 million. Arrow Chairman, President and Chief Executive Officer Mike Long and his wife Karen served as honorary grand marshals of the event.